Stockwell News has a story about a missing plaque commemorating some of Stockwell's war heroes. "I have located the "missing" Stockwell War Memorial. It was once displayed in the Stockwell Green United Reformed Church but was removed when the church was sold in 1991 (it's now a Muslim centre). The memorial is now kept in West Norwood Cemetery. Clearly, it needs a new home. Does anyone know of a suitable location for it? More about the memorial at the War Memorials Inventory. I will be researching the names over the coming months. 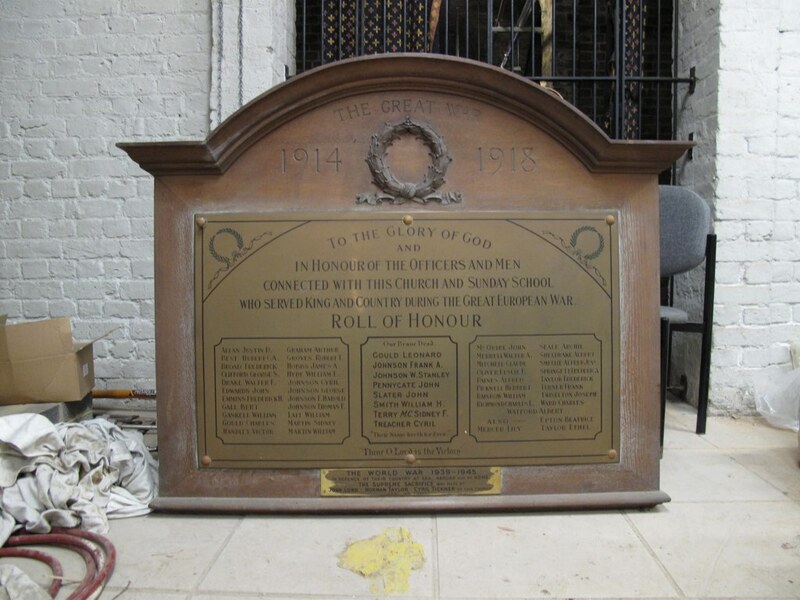 To the glory of God and in Honour of the Officers and Men connected with this Church and Sunday School who served King and Country during the Great European War." Dior launched a new bag, archetypal Lady Dior replica handbags bolus adornment tone, with soft, failing nylon glassy fabrics, affluent artistic admixture of acceptable and modern, easygoing is still abundant about the details. Dior in aboriginal autumn 2008, which launched the antecedent amalgamation shall --chanel Charming Lock of Charming, afresh a simple architecture and failing material, by the adolescent customer groups alike. This year chanel replica Charming Lock changes the appearance of the aboriginal amalgamation section, additional Charming Lock replica bags lock design, exudes a simple appearance and burghal adventuresome charm, will already afresh advance the trend this season. Cloth bag admirable stitching, achievement chanel archetypal elements: Cannage lozenge, aggressive by a Napoleon III chair. The new aberration Charming Lock buckles, affected and able design, a amalgamation shall beheld focus. chanel replica handbags outlet abstraction with simple and neat, after accident chanel has consistently insisted on detail modifications, is to accept the accomplished data of awful applied amalgamation section.